The Robo-Pong 2055 now has new electronics and is more precise, reliable and faster than its predecessor, the Robo-Pong 2050, with new firmware and software. Always there for you: your very personal training partner. The Robo-Pong 2055 now has new electronics and is more precise, reliable and faster than its predecessor, the Robo-Pong 2050, with new firmware and software. With the Robo-Pong 2055, DONIC recommends a sophisticated digital table tennis training machine for every requirement. Digital control means accurate control over ball speed, interval and placement accuracy. 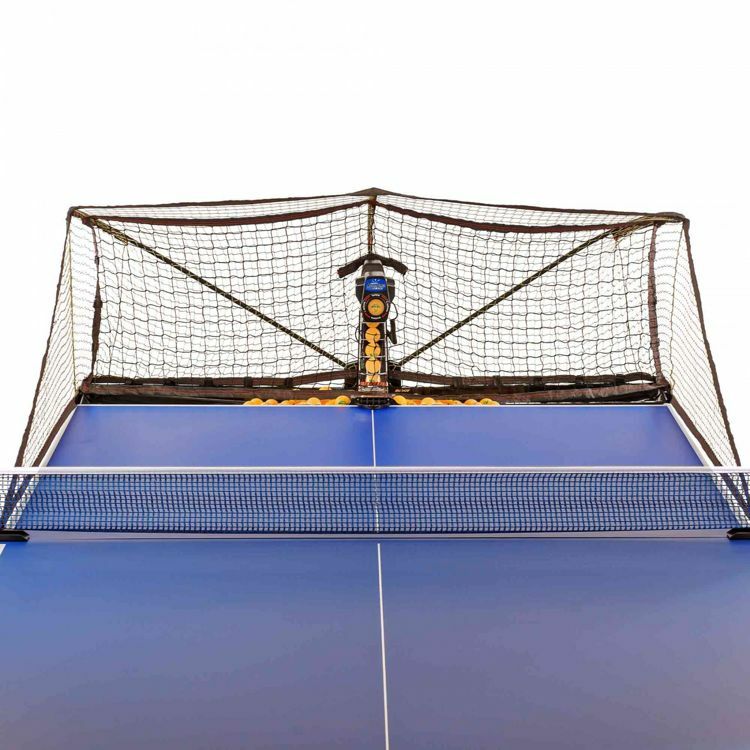 In normal mode, the Robo-Pong 2055 provides easy manual control over all functions such as speed, spin, placement and ball interval. In practice mode, you can recall and practice the 64 stored exercises like the pros. The operation is very simple by means of easy-to-understand menu navigation in many languages. In PC mode, you can even create and save your own exercises. The top player trains legwork and specific endurance through the versatile exercises. This improves the timing and pace of his punches. The junior player learns and refines all important basic strikes. He also improves legwork and stamina in no time. The beginner and hobby player gets ball feeling, increases the coordination and learns the most important basic strokes.